Welcome to Nosara Hills. 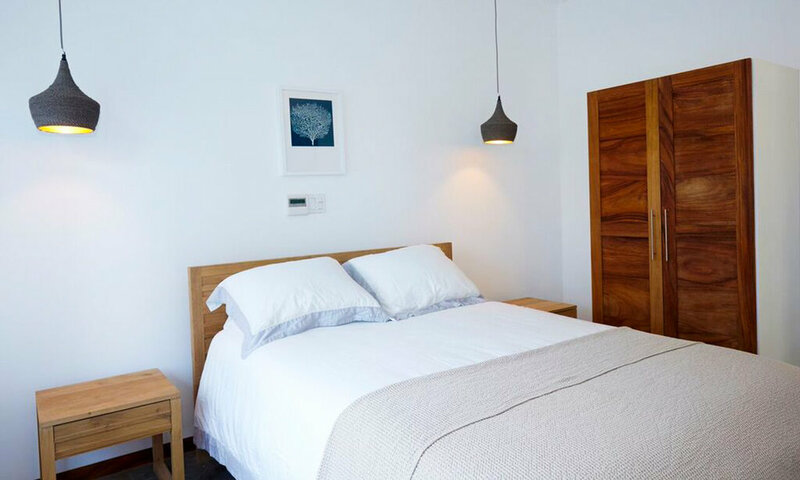 A gated community that is setting a new standard for eco-friendly living in Nosara. 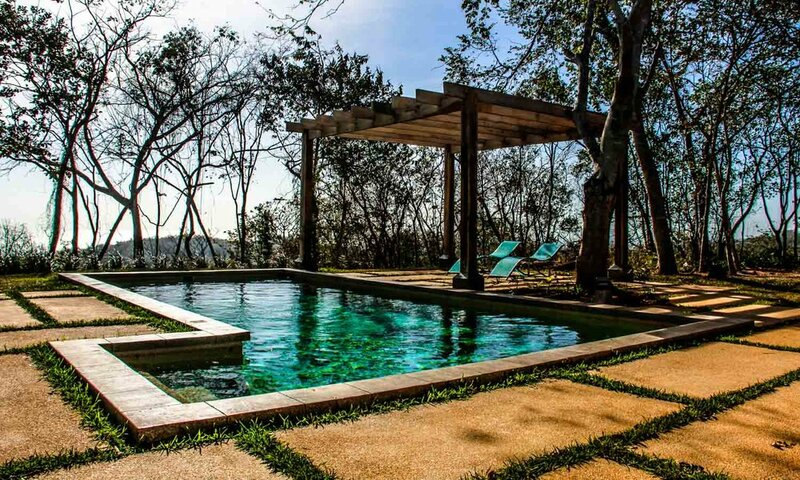 Nestled high up on the mountain within this gem of a development lies Casa Estrellas. A brand new modern-contemporary house with an elegant and simplistic design that is the definition of progressive architecture. 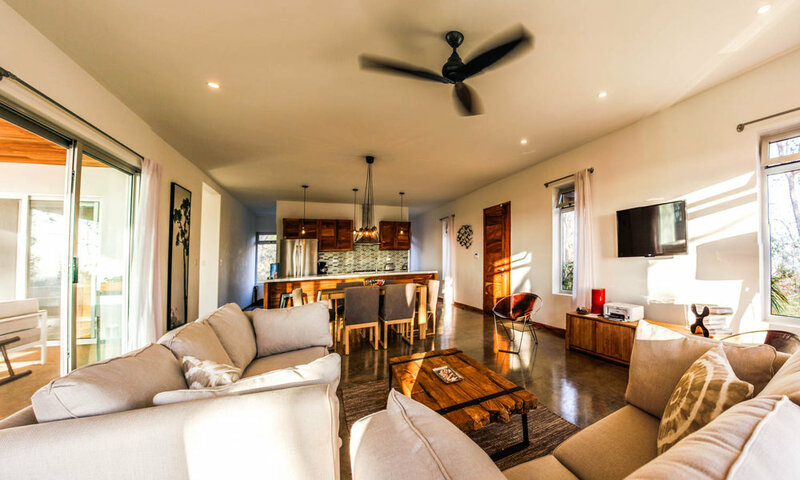 Casa Estrellas features sustainably designed amenities including a green roof, solar power, A/C, central vaccume system, outdoor landscape lighting, a development-private water well, and a beautiful pool. This house is a "turnkey" home that is ready to move in to. Fully furnished with lots of opportunity for customization. An open 3 bedroom floor plan makes this home perfect for a family that enjoys the presence of their loved ones yet values the privacy of there own domain. The house was designed to be centered around the sharable outdoor living area, with easy access from all parts of the house. No matter where you are, it is just a few steps and a sliding door that separates you from the patio/pool area. Spend your days in Casa Estrellas enjoying the cool mountain breeze and hosting a bbq beside the pool. Wake up early to witness the sunrise over the jungle or spend the evening lounging outside to watch it set over the ocean. 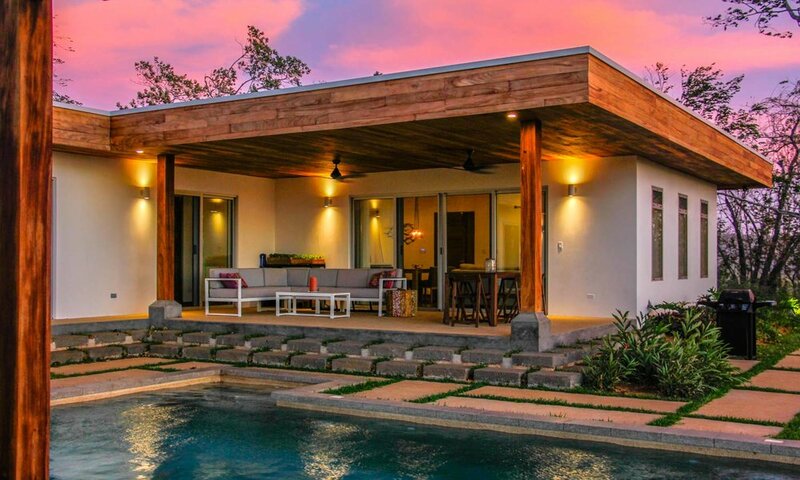 No matter how you choose to spend your days here, you and your family will be sure to reach that "pura vida" lifestyle that everyone keeps telling you about. Living Area: 2,400 sq ft.